ALL good things must come to an end, writes MARTIN HUTCHINSON. And so, more than 50 years after they shot to stardom, The Osmond Brothers are undertaking their final UK tour. Osmondmania hit the world and the band amassed millions of predominantly female fans as they sold 100 million records with hits like Love Me for a Reason and One Bad Apple. 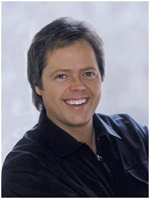 Jimmy, the youngest and most famous of the siblings, arrived on the scene in 1972 with Long Haired Lover From Liverpool – and The Osmonds have been touring ever since. Speaking from his home in Utah, Jimmy tells me that Britain has a special place in his heart. “I’ve always been welcomed in whatever I do, whether it be singing or doing panto. He celebrates his 48th birthday on April 16 – a rare day off on a tour which takes in 46 cities in 55 days. But Jimmy is still most asked to perform a song he recorded before the age of ten – Long Haired Lover From Liverpool. “I learned a long time ago that you don’t mess with people’s memories,” he laughs. What will Jimmy be listening to on the tour bus? “I don’t really listen to our songs as I’m not that narcissic, I tend to like classic rock and The Eagles. Jimmy adds: “It’s great that we can celebrate 53 years and still be friends “We don’t always get along and we do have our rows. But this tour is all about a great big thank you to everyone for their love and support through the years.